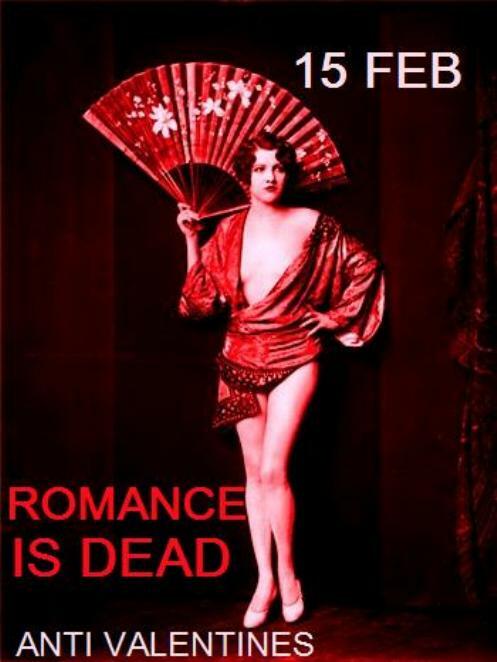 Whether you’re love sick or sick of love, be sure to join Death Drawing next Tuesday for our second salon of the season with an extra special Anti-Valentine’s theme. There’ll be BLOODY VALENTINES a plenty and hearts will be of the BROKEN variety. Feel free to bring rejected Valentine’s cards or ex-lover love letters to exorcise your heart ache and add them to the SHRINE TO ROMANCE.